Universal React + GraphQL starter kit, written in Typescript. 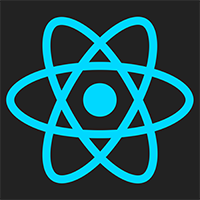 React 16 · Apollo 2 · MobX · Webpack 4 · Emotion + PostCSS + LESS/SASS · GraphQL Code Generator · React Router 4 · Server-side rendering. Create reusable components that combine UI and logic, and compile down to HTML on the server. Seamless server and browser compatibility, from the same codebase. Connect to any back-end GraphQL server, and handle state declaratively with MobX. Full re-hydration from SSR. New in v4, write routes declaratively inside your React components. Zero configuration required. Extensive Webpack config generates browser + server bundles, optimises your code paths, crunches images and generates code ready for production. Optimised Emotion CSS for per-request <style> generation or inline .scss/.less/.scss imports - in plain CSS, SASS or LESS. Mix and match. It works out-the-box. Bolster your SEO with SSR and improve user experiences with fast time-to-first-byte (< 10ms) with the performant Koa 2 web server, built in to your server bundle. 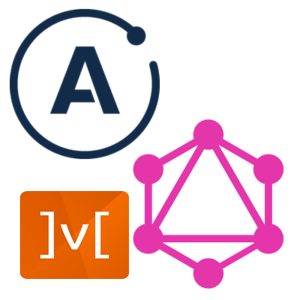 GraphQL queries run on the server first, giving users and search engines rich HTML with data, markup and styles - with no configuration needed. Dumps your React + GraphQL into plain HTML dynamically per request, with full client-side support. Store state automatically rehydrated from both Apollo & MobX. Navigating your site will be blistering fast, thanks to pre-loaded routes and async data loading. Obliterate full-page reloads and enjoy server-side rendering, to boot. Thanks to Webpack, ReactQL automatically eliminates unused code paths in your browser code, for minimal bundle sizes. Freely edit React components, styles or other code in development, and watch changes happen in real-time in the browser - no refresh needed. Your code, images and CSS will be minified to save every byte possible. Assets in production will be served gzipped and Brotli compressed, too. Almost every line of code is littered with comments, so you can get to grips with how it's wired together, fast. GraphQL store state crunched on the server is sent down the wire to the browser, so your user can pick-up where your server finishes. Everything is just GraphQL. Vendor code is automatically split from the code you write, making async route loading and caching fast and automatic. No need to maintain a separate vendor list. From HTTP hardening in Koa, to declarative <head> rewinds via Helmet, ReactQL gives you an optimised starter kit with all the finer details taken care of - freeing you to code. Copyright © 2017-2018 Lee Benson. ReactQL is MIT licensed. 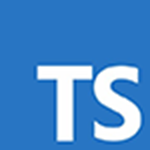 Third-party modules subject to their respective licenses— see the relevant repo for details. Background image designed by Starline / Freepik. ReactQL was crafted in the UK.